From conception, a human | J.W. Wartick -"Always Have a Reason"
It is important for those on either side of the abortion debate to be informed. One part of that is to realize there are some really, really bad arguments out there. The argument that the unborn is merely a “blob of cells” or “human tissue” is one such argument. Simply put, if one makes this argument they are not on the side of scientific facts. A survey of textbooks on embryology by medical professionals shows that regardless of what the person on the street says, science tells us that from conception there is a new human being. I will now demonstrate through the citation of many such sources. The development of a human begins with fertilization, a process by which the spermatozoon from the male and the oocyte from the female unite to give rise to a new organism, the zygote. Furthermore, a number of medical professionals testified under oath to a U.S. Senate committee. Quotes like these could be multiplied almost beyond measure. 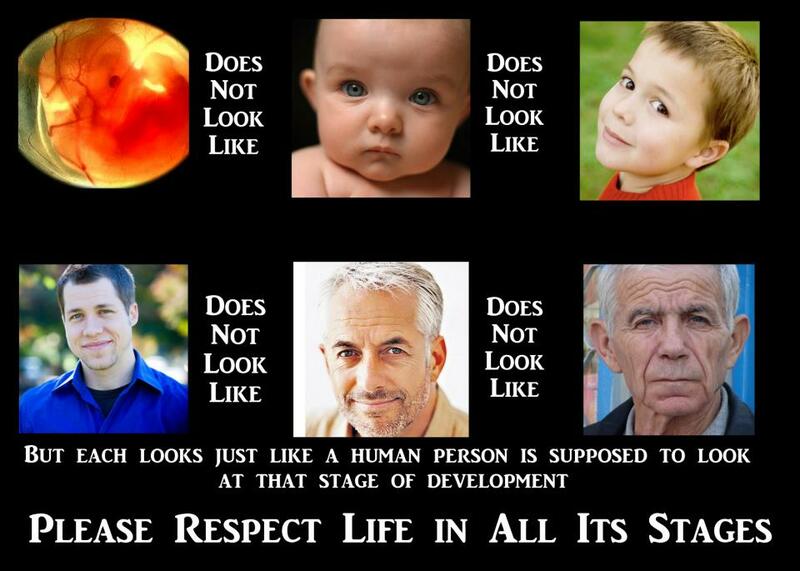 Scientifically speaking, those who say that the unborn is not a human being are, to put it bluntly, ignorant. Some may think that amassing endless quotes from medical professionals and scientists is not convincing. They’d rather see the evidence themselves. Let me present it very briefly. 1) The zygote has distinct DNA from the mother (and is therefore not part of the mother). 2) About 50% of the time, the unborn has a different gender than the mother (and is therefore not part of the mother). 3) From conception, the zygote grows and organizes itself (and is therefore a unique individual). 4) As long as there is an environment in which the resources required for life continue to be provided, the zygote will continue to mature and, well, live (much like a baby, or a 20 year old). 5) The zygote is alive and continues to grow. Therefore, from conception we have an individual with unique DNA and sometimes even a different gender; we have an individual which grows and organizes itself; we have an individual which, as long as no one destroys it, will continue to grow and mature into an adult. There is a reason the literature sounds so confident that human life begins at conception: those who deny this would have to say that 50% of the time, males with distinct DNA from their “bodies,” who organize themselves towards growth, are reducible to their female mothers. That is what the pro-choice advocate would have to say: “Yes, that male ‘clump of cells’ inside the mother with its self-organization and different DNA is actually part of the mother.” This despite the fact that any DNA test would not show this to be the case. Of course, the female’s DNA would be different as well, so again, the absurdity would have to follow. Let’s suppose for a moment the science were unconvincing, or at least left open the possibility of denial. 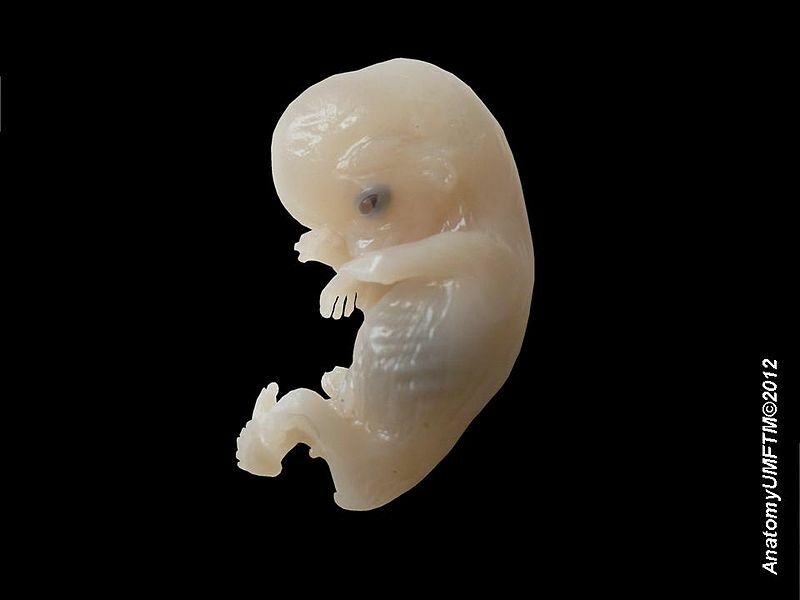 What about philosophical arguments that the unborn is not a human being? Some argue that viability is the point at which we can decide when an embryo goes from a ‘clump of cells’ to a human being. However, viability continues to be pushed to earlier and earlier stages of development for the embryo. Does that mean that human life continues to be extended earlier and earlier? This argument is fairly ridiculous because it entails that what was not a human being 100 years ago is now suddenly, miraculously a human being due to new technologies to sustain life. In other words, it reduces humanity to a sliding scale. Imagine a nuclear fallout happened and our technology was pushed back into the 1700s era. Suddenly, viability would be much later than it currently is. Does that mean that those who were humans/persons before suddenly lost that privilege based upon our technology level? Some argue that the ‘clump of cells’ is not a human being until it has a brain or can feel pain. There are a number of problems with this argument. 1) it assumes physicalism–it assumes that human beings are somehow identical with their brains. This is a huge area of exploration and I won’t delve into it here. 2) It is unclear how the growth of a body part somehow transforms something from a clump of cells into a human being. 3) It is a completely arbitrary cut-off. Why pick the brain as the arbitrary cutoff? Note that it has to be arbitrary unless someone has an intrinsic value to place all of the qualities of humanity in the brain. 4) If feeling pain is necessary for human life, then someone who is in a coma and can recover is not a human being. Likewise with someone who has passed or gone into shock. 5) The fact is that the unborn can feel pain at somewhere around 7-8 weeks into term. Those who deny that evidence simply must concede that evidence of pain at about 20 weeks. What does that mean? Unfortunately, abhorrently, it means that those unborn who are aborted in extremely gruesome ways [see here: warning: graphic descriptions–and I picked the least graphic one I could find] and that they feel the pain. This is an unfortunate, disturbing, fact. People who deny this fact are either blissfully unaware of the scientific literature or, to be frank, lying. So what to do with this evidence? If the reason for allowing abortion really is that the baby can’t feel pain (and I very much doubt that it is–this is just a rationalization for the real reason behind it), then any abortions over 20 weeks should be illegal. But really, what is the rationale driving this argument? Why should we care if a “lump of cells” feels pain? After all, according to pro-choice advocates, until the unborn is somehow transformed into a baby by passing from inside to outside of the mother, the unborn is just a “ball of cells.” So really, who cares if it feels pain? Again, that’s because this reason is just a red herring. The real issue is personhood. Some argue that because the unborn has to rely upon the mother to survive it is not a human. But of course so does a newborn infant. If it is asserted that the difference is because the unborn is inside the mother than one can’t help but wonder how going from inside to outside the mother suddenly transforms something from a ‘clump of cells’ into a human being. For a number of other philosophical arguments see my posts on my pro-life page. The argument that the unborn is merely a clump of cells is scientifically untenable. Those who make this claim are ignorant of the scientific data that states the exact opposite is the case. If they maintain their assertions in the face of the scientific evidence, then it can only be through blind faith or willful deception. The philosophical arguments fair no better. One thing you didn’t address that I am curious about: do you feel that an abortion prohibition is the best solution to the issue? I noticed it seems you also support the continued prohibition of marijuana. Would you consider the War on Drugs an ongoing success that should remain in place? I must admit that I do not know enough about the war on drugs issue to make a fair statement. I have only heard very few arguments on either side and have not had time to investigate myself. It’s not high on my list, either. Do you have thoughts? Regarding abortion: yes, I do think that making it illegal would be part of the solution. The statistics do not lie. After abortion was made legal, the numbers increased exponentially. Not only that, but when it was illegal the notion of the “back alley” abortion was simply an invention by the pro-choice movement. The vast majority of “back alley” abortions were done illegally by actual doctors in their facilities. So yes, it seems to me that saving the lives of millions of children is worth making it illegal. Well, sure…how do you track abortions when they’re done illegally? Regarding the WOD, before I come back to abortion: I think blanket prohibitions, of really any kind, are more counterproductive than useful. This was evidenced by the prohibition of alcohol. Not only did it not work (people drank alcohol in speakeasies anyway), it caused a new breed of organized criminal to emerge through the systematic smuggling of booze accross the border from Canada (which, little history note here, is why Americans exhibited a fundamental taste change from rye to bourbon, as Canadian whisky has a higher corn content). Thus, you had bootleggers, etc, which led to violence including the the St. Valentine’s Day Massacre, among other events. Similarly, the WOD has done less to stem the flow of drugs into the United States and more to raise the stakes among cartels in Mexico and South America. This is why there are SUVs showing up in the desert full of body parts: the black market necessarily drives the price of product artificially high, because demand stays relatively level while supply is harder to move if not less available. There is a term from the world of economics regarding this too, though the word is slipping my mind at the moment. Perhaps it was Friedman who articulated it. He effectively said when constraints are placed on any human model, the “market” (and not necessarily and economic market) will adjust to compensate for the constraint. I know we’re not comparing apple to apples here, but I am skeptical about the prospects of a complete prohibition of abortion. What I would like to see, instead, are better educational programs to curb unwanted pregnancy, to include the availability of contraceptives if necessary. I also am not, of course, a woman and I do not want to pretend that I know what being pregnant is like. Because I don’t. I think we should not, however, embrace a system like that of Chile’s, where up to 12% of maternal deaths are attributed to botched illegal abortions. They’re also not having abortions, they’re just accomplishing it other ways, such as abortifacient drugs, etc. I also mentioned the drug prohibition is illustrate that prohibitions are often ineffective, and costly, in achieving their proposed goals. save babies no matter what the cost….they are your fellow human beings…the least we can do is protect the innocent. I’m not sure “no matter what the cost” is the correct answer here either. We must be above reproach in our defense of life. What would be the best way to care, feed and cloth the child for the 18 years or so before he/she can live on their own? Would adoption be the best option for a young woman who cannot care for herself, let alone a baby? Would there be some assurance that she will receive proper medical care during her pregnancy so she can safely give birth? After the baby is adopted (assuming the baby is adopted, there are many, many children waiting for families to love them) would there be any assurance for the mother that the baby will be placed in a home that will love and care for him/her? Provide for the babies needs and ensure that he/she would grow up in a healthy home environment? Keep the child from harm? Until you are faced with a decision which will effect the rest of your life and the life of the child, you cannot make blanket statements that abortion is wrong. It’s not enough to say “let’s outlaw abortions” then have no plan to deal with the practicalities of raising a great many unwanted children. You think it is morally wrong to abort babies. I think it is morally wrong to watch a baby die of starvation. I think it is wrong to trust the state to place a baby in a home with a father who molests the child or a mother who beats the child. I think it is wrong to impose your morals on someone else who you have no idea what is happening in their lives. If you were a young woman faced with a horrible situation, to either keep a baby you aren’t mentally, financially and emotionally equipped to care for, or to relinquish parental rights so the baby will be placed in the care of the state, or have an abortion, what decision would you make? Any choice is heart wrenching and will have lasting consequences on your life, and if you choose to deliver the baby, on the babies life as well. If you deliver the baby and give it up, you will constantly wonder and never know if they were being cared for, treated properly, kept safe, and given an education. What assurances can you give that the babies who aren’t aborted will have the quality of life they deserve? Or are you simply pro-birth but not really pro-life? Okay, let’s connect that back to abortion. Are you suggesting that if a baby is dying of starvation, we should kill it? Or should we kill children who are molested or beaten? Only if you are suggesting that killing children in these cases should be justifiable do you get any type of analogy for abortion. Your argument falls in upon itself, because you have not justified abortion. Abortion is the intentional killing of a human being. The examples you bring up appeal to human beings in bad situations. Do we kill human beings because they are in bad situations, or do we work to try to change those situations? It seems to me the “choice” is obvious: we should not go about killing people because they may be molested, or because they may starve to death. We should not kill people because of what may happen to them. Yet your argument is entirely based upon this premise without stating it. Your argument only works if you will bite the bullet and say if a child is molested, it is better to kill the child then to change the child’s situation. Frankly, I find that ridiculous. Abortion is wrong. It is the killing of innocent life. Your alleged justification for abortion appeals to cases in which it would be truly horrific to do something analogous to abortion. Therefore, your argument fails. Under this argument, we should kill all human persons. Consider this: “What assurances can you give me that I will have the quality of life I deserve?” Of course, you can give me almost none. Does it follow that I should be killed? Obviously not. But that is exactly how you are trying to argue for abortion. First, let’s hear an answer to my question- If you were a young woman faced with a horrible situation, to either keep a baby you aren’t mentally, financially and emotionally equipped to care for, or to relinquish parental rights so the baby will be placed in the care of the state, or have an abortion, what decision would you make? Again, this question is off base. If you think that the answer should be abortion, then you have to bite the bullet and say we should just kill anyone who is in need. Your argument suffers from an reductio ad absurdem: its core premise is absurd. Consider this: If you were confronted with a young woman faced with a horrible situation, either keep the toddler she is not mentally, financially, and emotionally equipped for, or to relinquish parental rights so the toddler will be placed in the care of the state, or kill the toddler, what decision would you make? Clearly, killing the toddler is not permissible. Neither is killing the baby. So you can’t or won’t answer my question. Thanks for clarifying. I’m asking for a bit of honesty here. The question you are posing could not possibly have a blanket answer. Your question also borders on the fallacy of the complex question. I was easily able to parody your question, but you refuse to interact with the fact that your question seems to imply that it is a realistic option to kill people on a whim. Once more, let’s examine your question in a new light. Again, the easy conclusion regardless of your answer is that killing the toddler is not permissible. Neither is killing a baby. No, what you are doing is deflection. I’m asking you for an answer to a question and you are not willing to give an answer. Yet you are asking for honesty from me? Please. Why would I answer a question from you when despite your repeated attempts at rationalization, you aren’t willing to answer mine? I’ve not had the displeasure of meeting and debating with many apologists, but it appears you all took the same class in deflection, circular reasoning (I’m using the term ‘reasoning’ very loosely,) muddying the water, distraction, and most of all – controlling the argument. I ask you a question, and you follow my question by rephrasing the question and asking you the same thing back, but twisted. You use a textbook example of this technique! I’m sure your teachers would be proud and give you a gold star for your efforts. You don’t need to reply. I’ve seen the type of argument you make and if you can’t be honest and answer the tough questions placed to you, you have no business asking them of others. Another religious hypocrite, color me surprised. If you were a young woman faced with a horrible situation, to either keep a baby you aren’t mentally, financially and emotionally equipped to care for, or to relinquish parental rights so the baby will be placed in the care of the state, or have an abortion, what decision would you make? The only way your question makes sense is if you assume from the outset that abortion is a morally permissible choice. For, if you were not making this assumption, I cannot see how you could seriously suggest that the willful killing of a human person is to be included on this list of options. I am consistently maintaining a stance I wrote about elsewhere: namely, if the unborn is not a human person, then do whatever you want with it. If it is a human person, then abortion is not permissible. I therefore conclude that your question is phrased in such a way as to assume from the outset that abortion is not the killing of a human person, and I see no reason to respond to a question that begs the question against my position. Finally, I don’t see any reason for this slew of personal insults. It is unbecoming. We may disagree, but that is no reason for you to slander me.